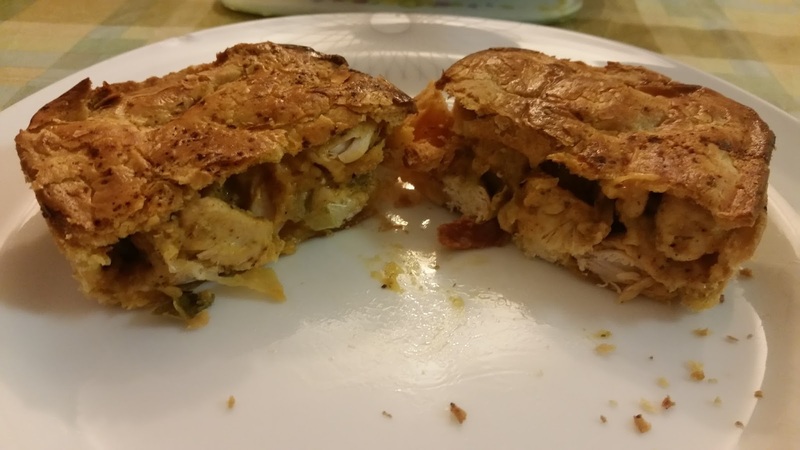 Pierate - Pie Reviews: Is Dee's Chicken and Chorizo Pie-DEE-al?! We run a tight ship here at Pierate, juggling writing the UK’s leading pie blog as a hobby alongside some quite hectic day jobs, so there are times when it takes a little longer than ideal for a pie to get from our pie backlog and onto the blog! But some pies are worth the wait to be reviewed, because they’re just so good we can’t not tell you about them! So here’s my view on what’s noteworthy of the last Dee’s Pie I rated - and yes, I saved the best til last! Check back tomorrow for our brand new feature: "Meet the Pie-ducer". We're starting it off with none other than Dee Whooley himself, the creator of these amazing Dee's Pies!!! For those of you that don’t know, I rated four Dee’s Pies just a few weeks ago, having met up with small business owner Dee himself in London as part of the #LondonPie Tour. He handed me a bag of pies to rate and with four already rated, my last one was a Chicken and Chorizo pie. Like the other Dee’s pies it had the lovely shortcrust pastry and was absolutely packed with meaty content! Pie purists will be pleased to know the pie passed the “hand-held” test, holding together very well despite being jam packed with lovely tender chicken pieces and a sprinkling of Chorizo. There is very little to fault with this pie filling, so overall an amazing effort! My only thought was perhaps the pie could have had a little more Chorizo just to add a little more to the flavour, but the combination of meats was near ideal, so this would be just a small im-pie-rovement! It didn’t really have a lot of a sauce to speak of, but the meat was so tender and juicy and the flavours of the meat so nice that I didn’t feel it lacked anything for it. The colour once again was decent and I was definitely craving a second one of these pies as soon as I’d finished the first one! That’s a very good sign in my book!!! At £3.50 I’d hope for a tad bigger pie for the piefect cheapness score, but the capacity and quality of content are such strong scorers here that it gets Dee’s Pies yet another Pierate Highly Recommended pie! No wonder Chris Evans was so quick to get Dee’s Pies to cater for his Top Gear writing sessions recently, which were all over the papers and twitter! Great work Dee’s Pies!